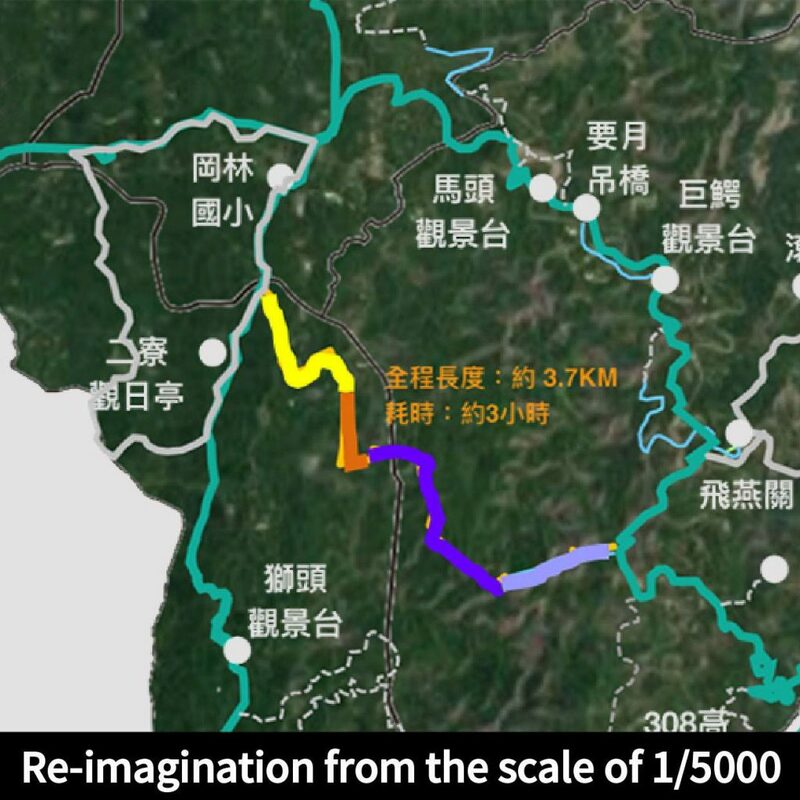 The heritage trails in southern Zhoujhen served as important connectors between rural villages, pathways to schools and temples, and access to sources of livelihood, but they had disappeared in the process of depopulation. As a public realm with shared memories among elderly residents, these trails have the potential to serve as a tool for rural placemaking. To research the exact location of the trails and the stories around them, a group of interested university faculty members came together to design a trail-restoration working holiday that is incorporated into three multi-disciplinary courses. 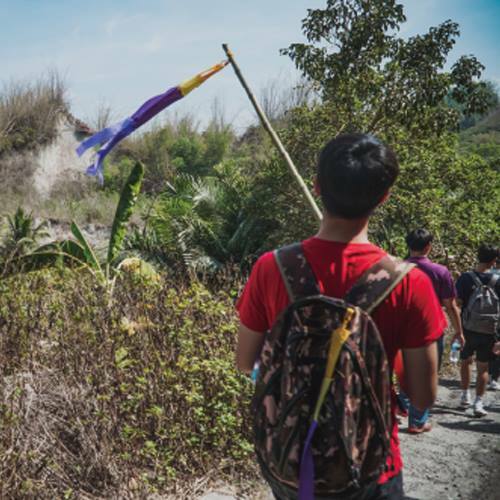 Using heritage trails as a shared space, students collect information from different perspectives during the 3-day event. A way-finding ribbon was designed to represent the place and the restoration process of one trail. 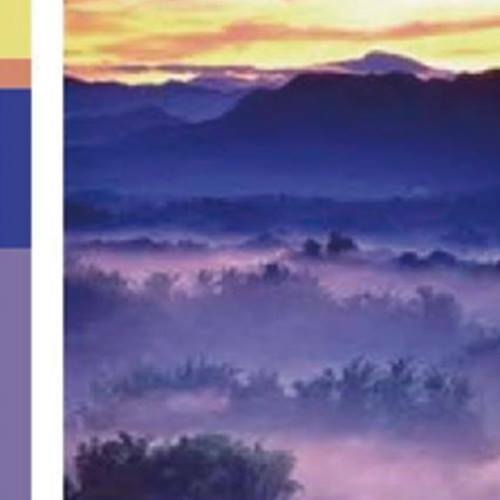 The ribbon’s colors were abstracted from the famous local sunrise scenery; its length is 1/5000 of the trail length, and each color section represents different topography of the trail. It records the trace of way-finding led by the local elders, and it is also a souvenir for the student volunteers as a symbol of the collective memories of this trail restoration effort. It represents the process of rural heritage preservation and placemaking in the badland region. Collaborator: Gongguan Community Association- Liu-Tsu Chen, Cheng-Ta Lai, I-Cheng Lo. Instructors: Hsiutzu Betty Chang, Sheng-Fen Chien, Hung-Bin Hsu, Yu-Fong Wong. Project assistants: I-Chun Chen, Yu-Chien Hou, Yi-Chi Huang, Jie Lin. Students: Chiao-Chen Ku, I-Chen Chen, Hsin-Ju Li, Cheng-Hao Huang, Ting-Yu Ling, Meng-En Hsiao, Wei-Chao Hung, Yu-Sheng Tung, Yu-Wei Tseng, Hsiang-Hao Hsieh, Chuan-Chieh Chu, Yu-Hsuan Weng, I-Han Tseng, Ching-Ya Tseng, Yao-Hsuan Huang, Hsin-Tsen Hsu, Yu-Chi Chang, Po-Chun Liu, Wei-Ching Tai, Tsai-Fang Hsieh, Yung-Yu Chan, Kuan-Yu Lai, Wei-Lun Hung, I-Hsin Chen, Kai-I Chen, Chih-Hsuan Liao, Hung-Yu Chen, Chia-Ling Chiu, Yen-Hui Li. Research Question: What public realm may be meaningful for placemaking in a depopulated rural area? What object may be designed as a souvenir that represents the collective memories of the heritage trail restoration event that is meaningful to all the participants from both the university and the local community?